Home > Nutrition & Fitness > Dietitian or Nutritionist? Choosing a health career in nutrition requires a number of important considerations. For many people, there is a great deal of confusion around the roles of a dietitian and a nutritionist. In fact, they can be commonly used interchangeably, further complicating our understanding of these two roles. Another complication relates to accreditation. In some countries such as the UK, Canada and the United States, the title of a dietitian is a protected one. This means that a person cannot use the title of dietitian unless they have received legal and regulatory standards clearance to do so. A dietitian must complete a specific, structured educational path along with practical training in an internship. Furthermore, they must pass national examinations and receive registration and continuing education each year. In contrast, virtually anyone can use the title of nutritionist and the education can vary from a few courses to a research degree. From a patient perspective, it is easier and safer to generally look for a dietitian, which means the patient does not have to delve into the qualifications too deeply and can assume a standard of education and training. As a whole, it is often stated that all dietitians are also nutritionists but not all nutritionists are dietitians. Depending on the training of the individual, a role as a dietitian or nutritionist may not necessarily be all that different. There are still people practicing as nutritionists who have extensive educational and professional experience. For instance, there are practicing nutritionists who hold Master’s or Doctorate degrees in nutrition. While they may not have taken the steps to become a registered dietitian, they may still, in theory, be as competent. There are unfortunately nutritionists who have very little education and training. This is one reason for the protected title of a dietitian. A patient can be assured that their dietitian holds a Bachelor’s degree that specialised in food science and nutrition. For employment reasons, a dietitian also has more opportunities. NHS hospitals will only employ registered dietitians who have studied disease and nutrition management quite extensively. Patients who have renal disease or diabetes, for instance, require careful dietary management to ensure they treat their health condition effectively. Still, there is a limited number of countries where the title of nutritionist is protected and the title dietitian is not used at all. Here, the nutritionist title would hold a similar meaning to the dietitian one used in Britain and elsewhere. In English regions, however, dietitian is a protected title and nutritionist is not. Typically, for a patient seeking food and nutrition related advice, particularly in relation to managing disease, it is generally advised that they seek the services of a registered dietitian. Even though, as mentioned, a nutritionist could be equally or more competent, choosing a registered dietitian is the only way to ensure that the person has completed the required tasks. This offers the patient protection and safety in their healthcare. Indeed, this is precisely the reasoning behind dietitian registration – to protect the public and uphold a standard of competency and care. Dietitians are more likely to work in hospitals and nutritionists are more likely to be working in private practice. Nutritionists may use more alternative therapies that are not proven while a dietitian will only use therapies that are evidence-based and nationally approved, mandated and recommended. Again, this offers both dietitians and patients better protection within the care provided. In private healthcare practices and hospitals, it is also more likely than not that a dietitian will be employed rather than a nutritionist. This continues to offer patients an expected standard of care and level of protection in the quality of their healthcare. 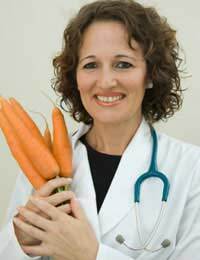 Certainly, many people are successful as nutritionists in private practice. You do not have to choose a dietitian career. Do keep in mind, however, that given the recommendations to patients that they should choose a dietitian, this career choice may be a more stable and lucrative one. Since not all nutritionists are trained and practicing in an ethical manner, by choosing a career as a nutritionist, this poor reputation can be applied to your role as well. Whatever you choose, you should ensure that you understand the benefits and limitations. This will help you find the right nutrition role for you.